Guiding in the Vail area since 2012. I have fished in PA, CO, & WY for rainbow, brown, brook, and cutthroat trout. I love getting off the grid hiking for wild cutthroats/brookies out here in Colorado. 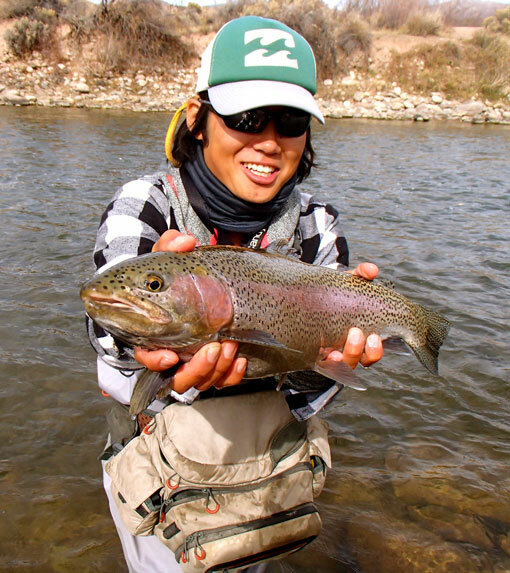 I would love to fish in New Zealand for wary monster brown and rainbow trout. Fly fishing, fly tying, coaching/playing lacrosse, camping, & snowboarding and my pet parakeets. I love sharing my passion for fly fishing and being involved in someone's experience of their first fish caught on the fly.